We are pleased to announce the arrival of a new river fishing bait range designed for specimen anglers. 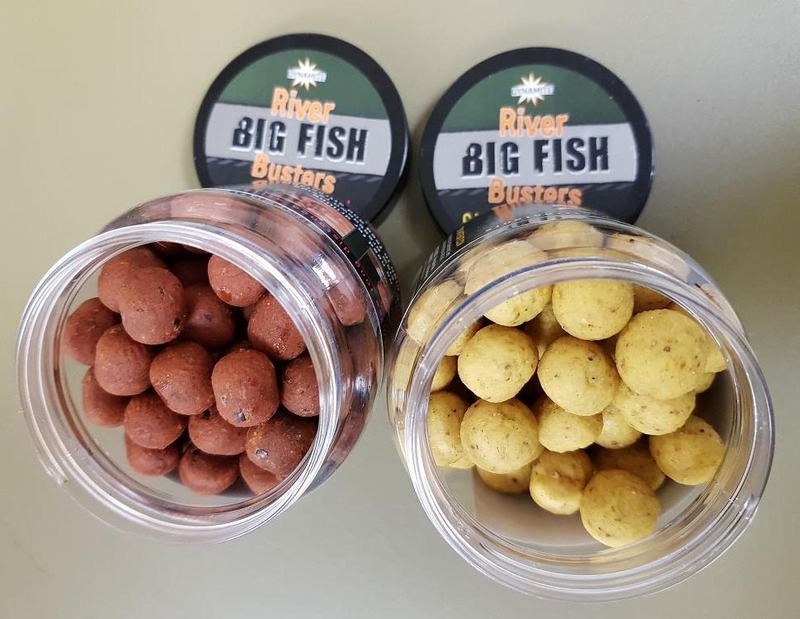 In time for the new river fishing season, we have added to our already extensive specialist bait range with the launch of Big Fish River – a tailor made river fishing bait for barbel, carp, chub and bream anglers. 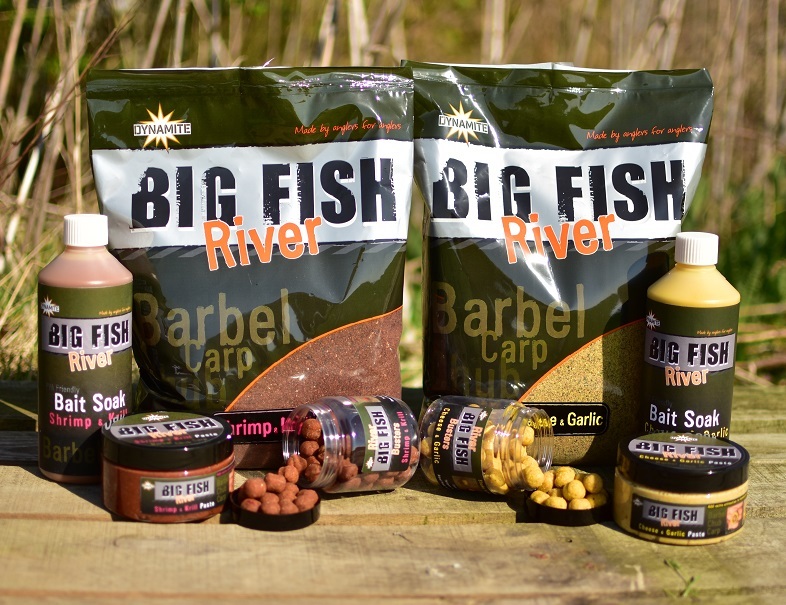 The new range features two classic river flavours, Cheese & Garlic and Shrimp and Krill and includes groundbait, paste, hookbaits and liquid glugs. The baits are ideal for those who like to target big fish, particularly on waters such as the Trent, Severn and Wye. The groundbait has been designed as a heavy mix containing halibut pellets, perfect for big feeders. There is paste for wrapping around leads and hookbaits, liquid soaks for glugging and mixing groundbait as well as hookbaits themselves. The hair-rigable hookbaits are dumbell shaped to prevent rolling off downstream and have a high flavour leakage to attract big fish from downstream. The dumbell hookbaits have a high leakage to attract big fish from downstream..